Apache JSPWiki is a leading open source WikiWiki engine, feature-rich and built around standard JEE components (Java, servlets, JSP). You can see who is using JSPWiki today, and the WikiMatrix page shows you a comparison with other wiki's. JSPWiki is open-source software that is released under the Apache Public License. This website (https://jspwiki-wiki.apache.org ) serves as the platform for project collaboration. The JSPWiki community welcomes any help with the project. You don't need to be a software developer to get involved -- there are many other ways to contribute. See the Getting Involved page for more details. 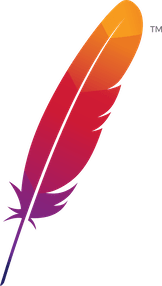 25-Mar-2019: Official Apache JSPWiki 2.11.0.M3 release is out! 08-Mar-2019: Official Apache JSPWiki 2.11.0.M2 release is out! 29-Jan-2019: Official Apache JSPWiki 2.11.0.M1 release is out! 04-Sep-2018: Official Apache JSPWiki 2.10.5 release is out! 23-May-2018: Official Apache JSPWiki 2.10.4 release is out!